The Low Carbon Living project is working to make the rural Mid-Cornwall villages of Ladock and Grampound Road a test bed for achieving sustainable living on a community-wide scale. 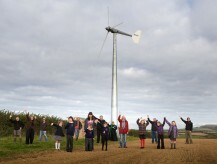 On 4 February 2009, the government announced that it was awarding the parish Low Carbon Communities Challenge status and £500,000 to deliver the project. The Challenge has been designed to test delivery options for achieving ambitious cuts in carbon emissions at a community level. 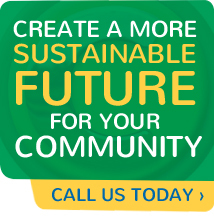 The funding bid and delivery of the project is being led by Community Energy Plus and follows previous work by Transition Ladock and Grampound Road and local residents to create a more sustainable community. A combination of energy efficiency measures and renewable energy technologies were installed across the community along with a carbon sequestration project which involved planting nut trees to naturally absorb and hold carbon while providing a boost to local food production. A community managed fund has been be set up to ensure that income made by electricity generating aspects of the scheme remain a rolling resource that will benefit the wider community. Income from feed-in tariffs and anticipated Renewable Heat Incentives from the government will be reinvested in more carbon saving measures so that the benefits of the programme of will far exceed the initial targets of the project. For further information visit the Transition Ladock & Grampound Road website or view a short documentary made about the project after it won Cornwall Sustainable Village Of The Year Award in 2010.